After years of waiting, PC gamers will finally be able to decapitate ninjas to their heart's content, thanks to the upcoming Windows iteration of Mortal Kombat Komplete Edition. When NetherRealm Studios released Mortal Kombat in April of 2011, few expected it to be so objectively good. More than a mere a quality entry in the Mortal Kombat franchise, the series reboot earned a spot on many competitive fighting gamers' choice games list, and the title has appeared at numerous important tournaments since its debut. Likewise, it's also appeared on every platform capable of supporting it: Xbox 360, PlayStation 3, Sony's Vita handheld - everything but Windows PCs (though that's going to change very soon). 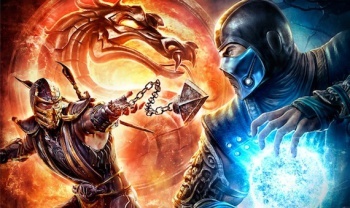 Publisher Warner Bros. Interactive announced this morning that Mortal Kombat Komplete Edition will see a PC release this summer. A digital version of the game will come available for download on July 3, while a physical, retail version of the game hits shelves on August 6. As for what's included in this incarnation of Mortal Kombat, well, it's (almost) everything. For your money you get the basic Mortal Kombat, all four of its DLC characters, 15 skins designed to make your fighter look more like his or her mid-90s self, and three fatalities likewise lifted from earlier Mortal Kombat titles. Mortal Kombat Komplete Edition for PC features dynamic gameplay including Tag Team, Challenge Tower and a full feature length story mode. Players choose from an extensive lineup of the game's iconic warriors and challenge their friends in traditional 1 vs. 1 matches, or gamers can spectate battles and interact directly with Kombatants online during the King of the Hill mode. The game supports the Mortal Kombat Tournament Edition Fight Stick and delivers full controller capability. Players will also be able to access achievements and leaderboard stats. By and large that sounds great. It appears that the PC version of the game will rival its console counterparts, at least as far as overall content goes. That said, it's unclear if the game can rival the Vita iteration of Mortal Kombat which included twice as many Challenge Tower missions as the original release of the game. We've sent messages to NetherRealm, Warner Bros., and High Voltage Software (the studio handling the PC port), asking how the PC Challenge Tower will look, and will be updating this piece when/if we hear back. Also missing from today's announcement is word on how much the game might cost. We'd expect a semi-inexpensive $30-$40 price tag, but that's based entirely on speculation. Hopefully the aforementioned firms are willing to shed some light on this too. Expect more soon.